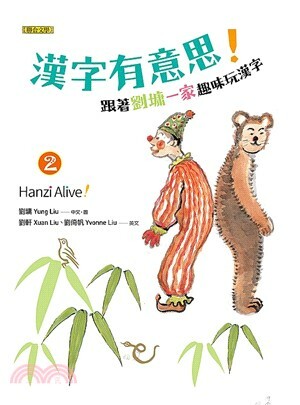 Learn Hanzi etymology, appreciate calligraphy in its various forms, discover the origin of Chinese characters and the stories behind them, and find their use in daily life! One of the most influential and popular writers of the Chinese speaking world, and also a renowned painter and educator, Mr. Liu has written over one hundred books of essays, prose, short fiction, inspiration literature and art analysis, and his books have been translated to English, Korean, Thai and many other international editions. As a painter, Mr. Liu has held more than thirty solo exhibitions throughout the world, and his artworks are regularly featured in Sotheby’s, Christie’s and other major auction houses. Musician, writer, speaker, radio show host. Holds BA from Harvard University and M.Ed from the Harvard Graduate School of Education. He is also a classically trained pianist and one of the most in-demand DJs in Taiwan. As a writer, he has written eleven books and translated several other works. Graduate of Columbia University and current MBA candidate at The Wharton School of the University of Pennsylvania. Former Manager of China for Warner Bros. Entertainment Inc. She as previously translated two books from Chinese to English. Most people who learned to write Chinese characters when they were young, remember it as a difficult task. And difficult it certainly was! Alphabetic writing systems can be learned in a logical way; if you can pronounce it, you can probably write it. But Chinese characters are drawn one by one, stroke by stroke, like miniature paintings. Though it seems laborious, if we follow this line of thought and let children treat Chinese as a drawing game, wouldn’t it make the whole task of learning much more fun? The sun 「日」in the middle of double doors 「門」makes 「間」which means “between.” If you change that sun to a person, it makes 「閃」, meaning “a flash.” You can imagine a person appearing in the doorway in a flash. From the "mouth"「口」onto “earth"「土」makes「吐」meaning “to spit”; from "the sky"「天」into “mouth” makes「吞」, which means “swallow". Let’s look at a more complex character, such as 「莽」. Although the character has many strokes, it is actually very simple when you think about it as a picture: there grass is above, there is grass below, and a dog「犬」is running between the grass. Is it not a very “wild,” “grassy” image? There is also the character for flea 「蚤」, which seems quite complicated at first glance. In fact, just draw a hand and two small dots like fleas between the fingers, then add the radical for insect 「虫」below, and there you have it! As for the character "flow" 「流」, draw three splashes of water on the left side, three strokes resembling long hair on the right side, and a "child" 「子」with his head down, as if swimming in the water. These are the Chinese characters introduced in this book. They have been selected by me so that children and foreigners who are learning Chinese can quickly enter the land of imagery and imagination. This entry is very important. If a person learns characters this way from the start, it can influence the rest of the learning process. Chinese characters that are rote memorized are dull, but Chinese characters learned from imagery come alive. It’s like getting to know a new friend. At first you only know his name, but if one day, the person invites you to his home, and you learn about his family and his life story, next time when you see him again, even though he still looks the same and you call him the same name, he will feel "friendly" to your heart. Today, more than twenty years later, my promise has finally come true. Because Yvonne was younger when she did the original English translation, I also asked Xuan to make the final edits. He said it was a good opportunity to refresh the material. My wife Weiwei did the proofreading and corresponded with the publishing house. It was a true family effort. The editorial work of this book was mainly done in Taipei this summer. In order to shoot suitable photos for the characters, I often had to venture out with my camera in the hot noon sun. My son who was on vacation in Australia, and my daughter who is working full time in New York, have also been “drafted” by me on short notice to complete this manuscript. Finally, we have decided as a family to donate all the royalties from the first Taiwan edition for social benefit, as gratitude for the many years of love and support we have received from readers like you. Thank you all!